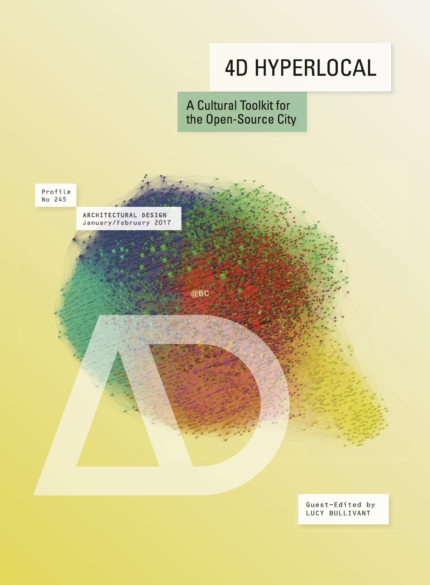 For the journal Architectural Design, we wrote a contribution for the Special Issue: 4D Hyperlocal: A Cultural Toolkit for the Open-Source City. Can computer hacking have positive parallels in the shaping of the built environment? The Hackable City research project was set up with this question in mind, to investigate the potential of digital platforms to open up the citymaking process. Its cofounders Martijn de Waal, Michiel de Lange and Matthijs Bouw here outline the tendencies that their studies of collaborative urban development initiatives around the world have revealed, and ask whether knowledge sharing and incremental change might be a better way forward than top-down masterplans. de Waal, M., de Lange, M. and Bouw, M. (2017), The Hackable City: Citymaking in a Platform Society. Archit. Design, 87: 50–57. doi:10.1002/ad.2131. Previous Post Talk at Data (For) Culture conference in Katowice, 2 Dec. 2017 Next Post Towards a Citizen's centered IoT. Panel report at Thingscon 2017.